What?! Another Blend??!! That’s correct ladies and gentlemen. 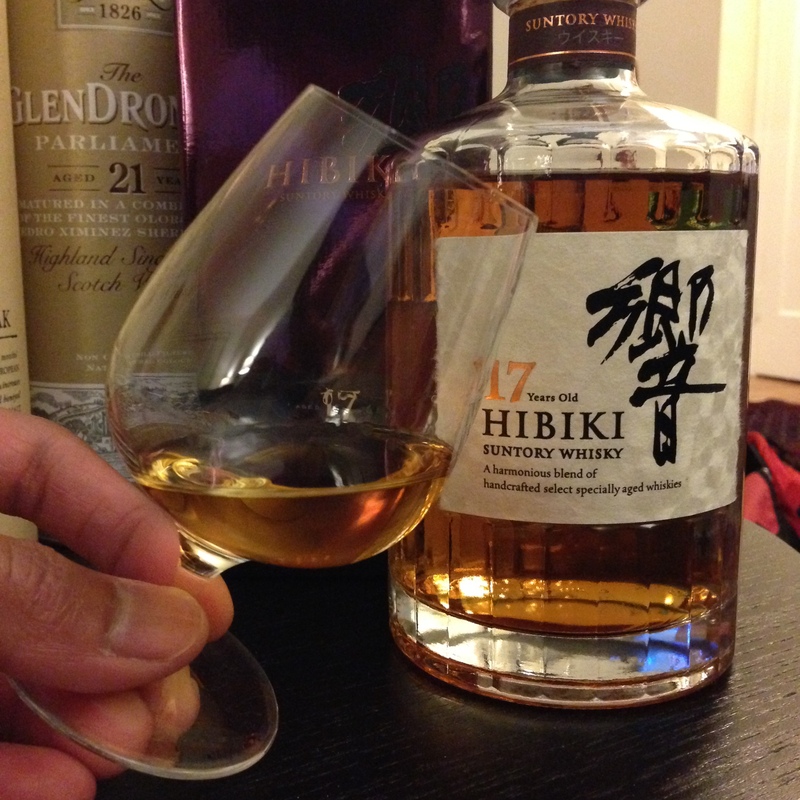 The Hibiki 12 year old’s older brother shows up and definitely brings its “A” game. NOSE: Deeper oak right off the bat, then gobs of caramelized sugar and stewed red fruit like plums, raspberries and fuji apples. Even with all those heavier aromas you can still dive through and find the light floral and vanilla accents. The addition of water brings a slight rubbing alcohol nose but the sweet freshly baked sticky buns brings you back for more. PALATE: Much more woody than the 12 year old, astringent around the extremities of the tongue. Hold onto the glorious liquid for 17 seconds before swallowing and you’ll be rewarded with plums, vanilla, spice and candied orange peel. There aren’t many distributors of the Hibiki 17, but going through Master of Malt will bypass any issues of not being able to find it in your area…unless you can’t have spirits delivered to your state…sorry. This is a great blend and if you like the Hibiki line then you should definitely add it to your cabinet.